Italy will let its coastguard ship carrying 177 migrants it rescued five days ago dock in Sicily, ending a standoff with Malta, its transport minister said on Monday, though it was not clear when and if the migrants would be allowed to disembark. The European Commission also said it was working on a solution to share out the migrants aboard the Diciotti with Italy’s EU partners after a request from Italy the previous day. But shortly afterwards, Interior Ministry sources said Interior Minister Matteo Salvini had not yet given authorisation for the ship to dock. He was awaiting guarantees that the migrants would go elsewhere. The sources said they would not disembark before then. Since taking office in June, Salvini and Toninelli have toughened the stance on allowing ships to dock in Italian ports at a time of rising anti-immigration sentiment in Italy. 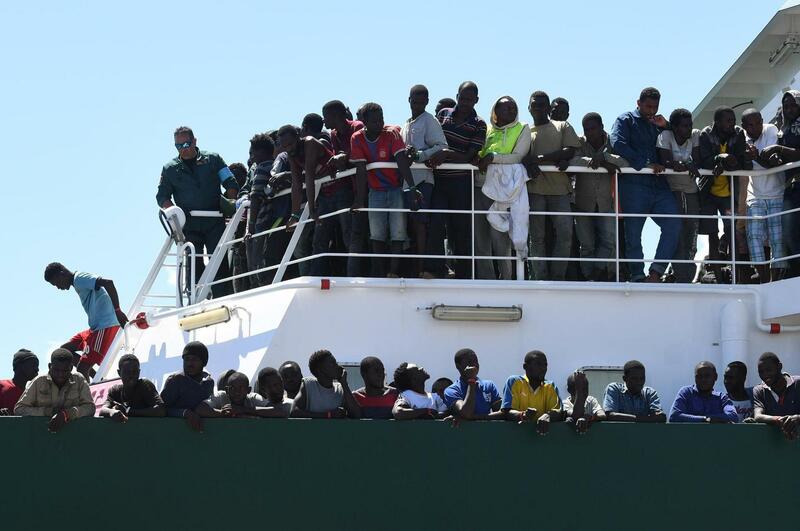 The Diciotti picked up 190 migrants on Wednesday from an overcrowded boat on the high seas. The coastguard quickly evacuated 13 of them to Italy for emergency medical treatment, but instead of bringing the rest to shore, the Diciotti stayed in international waters while Rome insisted that Malta should take them since the migrant boat had first passed through its search-and-rescue area. But Malta said the migrants had refused its aid because they wanted to reach Italy. On Sunday, Toninelli said the small island nation should be sanctioned for not performing the rescue. After more than 650,000 arrivals on Italian shores since 2014, Salvini has repeatedly said the country “will no longer be Europe’s refugee camp”, calling on EU partners to share the burden of the arrivals. Flows across the Mediterranean from Libya to Italy – one of the main routes to Europe – have tapered off as Libyan factions cracked down on people smugglers, and as the EU bolstered its support for the Libyan coast guard. But people are still dying at sea and summer is peak season for migrants attempting the crossing, often in packed, unseaworthy boats. Brussels said it was in talks with EU states on which of them would take the Diciotti people in, but it declined comment to say which capitals were involved and when help might be on offer.